This ASG battery may be tiny, but it packs a lot of power in its compact frame at 7.4V! This brick style battery can be wired into a crane stock or used externally thanks to its small and lightweight size. 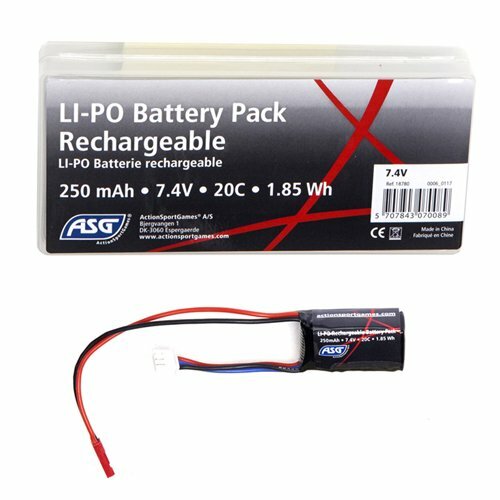 LiPo (short for lithium polymer) technology is quickly becoming a popular choice for its lightweight form and the high discharge rates it provides. Since LiPos are more sensitive to differences in voltage levels between cells, they must be charged with a LiPo-specific balance charger.